I’ve been hard at it recent weeks to get a good design here. 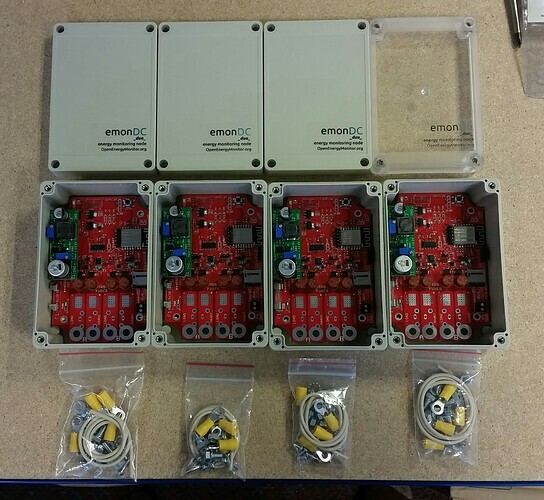 I’m happy with the results so far and it feels like some key decisions have been made regarding protection of the device and user.
. 10.16mm and 7.62mm Pitch Barrier Terminal block options on the inputs.
. ALL inputs fused and transient protected.
. Shunt Monitors Powered from 5V line, 5V line transient/over-voltage protected.
. DC-DC Buck Supply now a plug-in module, compatible with cheapo modules or the one I’ll be putting out at the same time for a bit more. 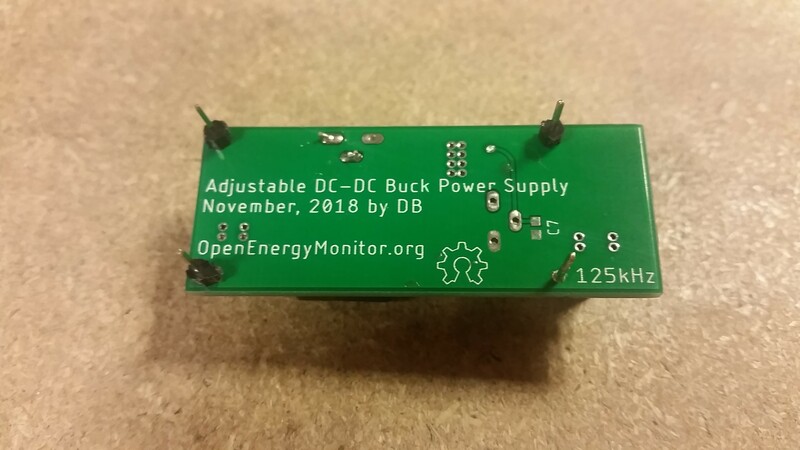 Buck power supply input fused and transient protected.
. 7.62mm Barrier Terminal Block mount available for connecting a 5V supply of your own, skipping the DC-DC buck altogether.
. Reverse polarity protection made through the same diode/fuse combinations used for transient and over-voltage protection. I plan to put the board out with some literature for safe use, demo installs, a video perhaps. 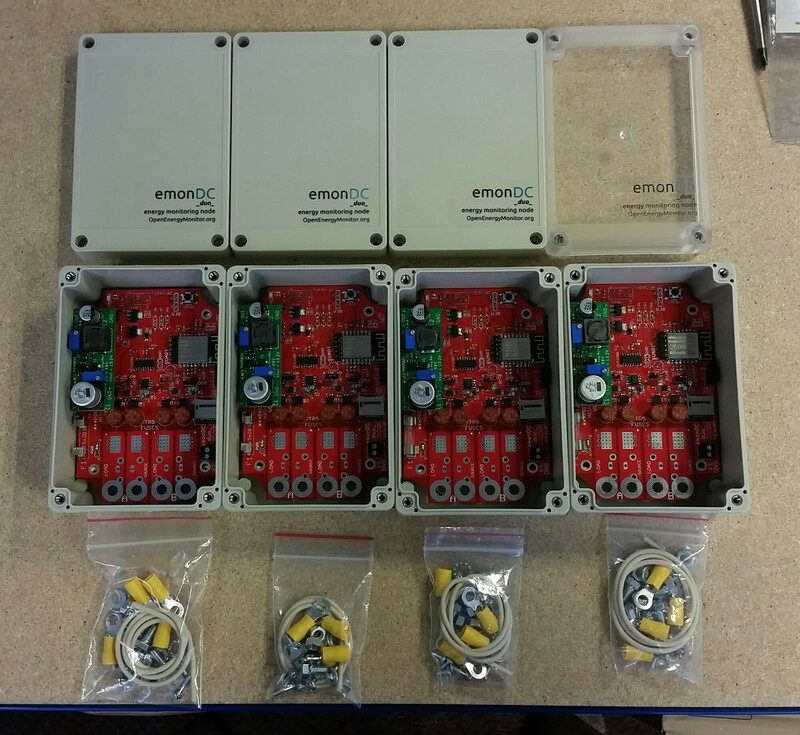 Literature would include how to select the correct terminal blocks and shunt for a particular Amperage, making sure the board doesn’t get too hot. The external shunt option always there also, and I’ve made provision for using shielded shunt leads. All other features as described on the github page. Feedback welcome, as my next stage will be a crowd funding application! Nice work @danbates this looks really great! I’ve been building some Learn documentation on DC related concepts. For my own understanding and clarity mainly. The safety side of things needs checking by someone more qualified than myself. If anyone would like to take a look at it, it would be much appreciated. These learn resources look great @danbates looks like you have put a lot of work into it! It’s difficult getting the practical aspects across, it would need alot more pics and vids. Arguably it should be kept a strictly theoretical doco, and leave practical learning to the processes of training with other people, and learning by doing in safe environments. I’m not saying that’s the only way, but it’d be a valid argument. 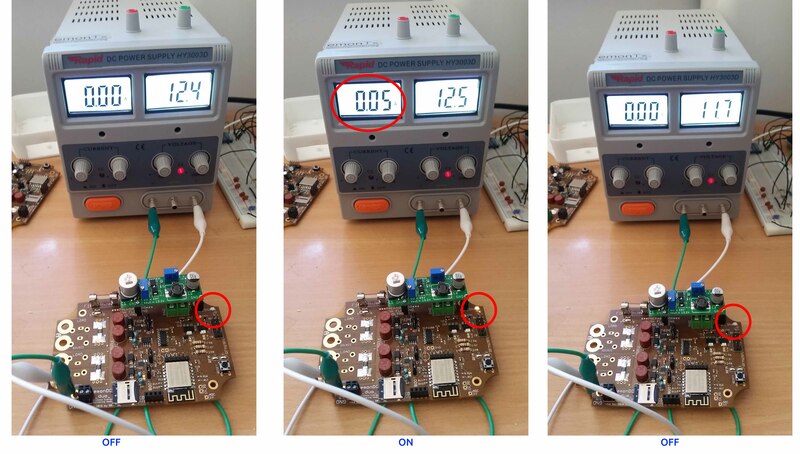 At the same time, it’d be a shame putting someone off handling 12, 24 or even 48V for example, it depends also on the available current, what kind and degree of precautions are necessary, a right balance has to be struck. I’ve made this video. It needed editing down alot. I’m thinking the details are worth making another video for, for those interested, I’ll follow this up soon with those. Looking here at v2.3 prototype, talking about v3.5. The case is from Lincoln Binns. The case will be milled to make way for the cable connections. 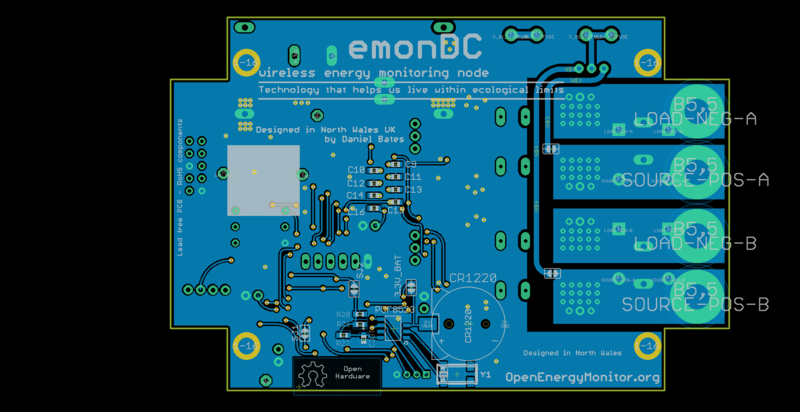 I chose shunt monitoring over hall effect current sensing for my first energy monitoring project because of versatility, cost, and it best suited the definition of an ‘open’ system. Nice video @danbates, looks great! Another update here, unedited this time. I have several v3.6 boards available as ‘development boards’ if anyone is interested. I also have now the buck regulator module boards. 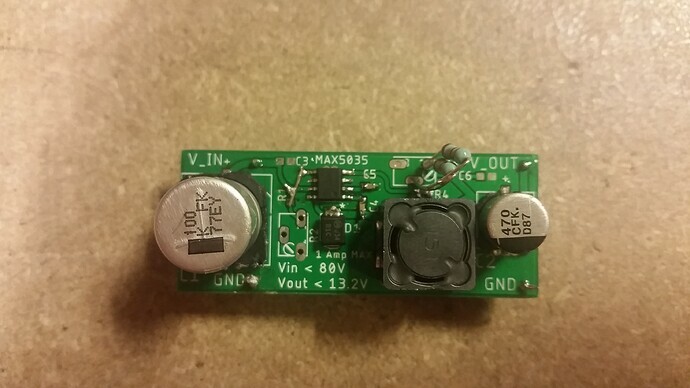 Here’s one cobbled together without the under-voltage lockout or Vout adjust trimmers, just soldered bits. DC-DC done better now, with trimmers. Seems to be about 0.8V hysteresis. 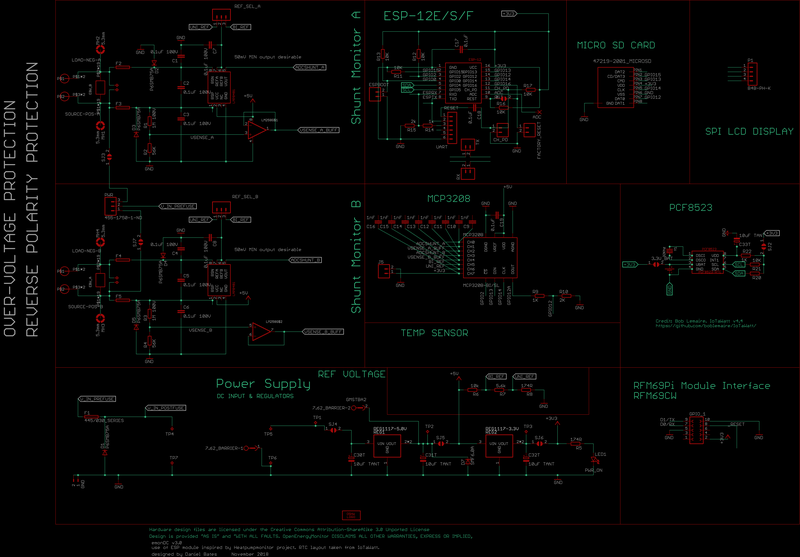 The board eagle files and datasheet for the regulator are on my emonDC github. I’ve updated the documentation on the github, lots more pics, setup guides and other useful info for emonDCduo. and I’ve done another set of revisions to this doco on DC monitoring, mostly the Safety section. Thanks to the members of the forum here who’s advised me so far. It does need checking just in case… It is a draft! I have some scruffy but perfectly functional dev units I can sell at near cost value. PM me if interested. Also, Interestingly, a second attempt at squeezing the footprint of the Allegro hall effect devices into the design I think has proved fruitful, just waiting for the proto PCBs. 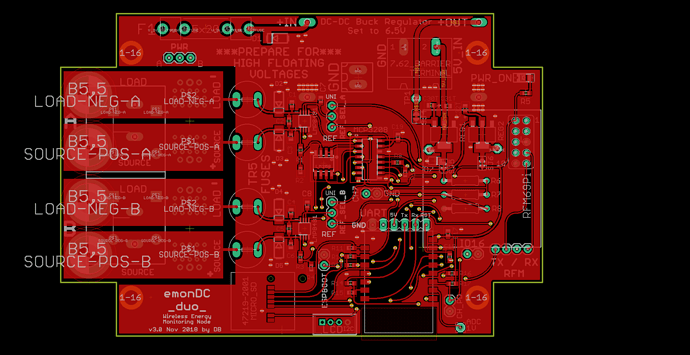 The emonDCduo PCB could end up having the option of shunt based monitoring or hall effect current sensing. Best of both worlds.